I'm confused. 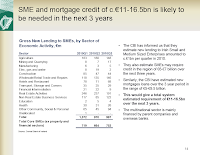 According to the Department of Finance presentation accompanying the bank stress test results last week (ht The Irish Economy blog) new lending to SMEs by Irish banks amounted to €4 billion in 2010. There was a recession last year, in case you've forgotten. 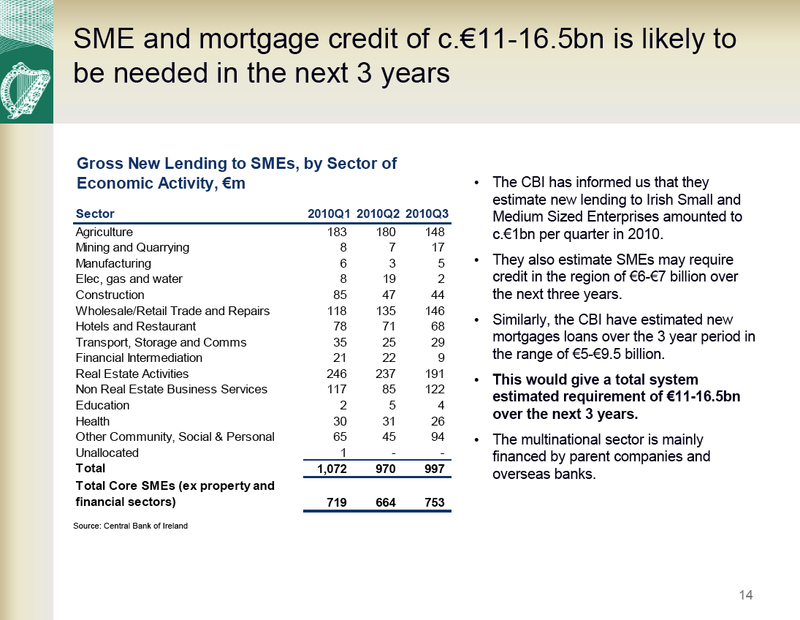 But here's the confusing bit: according to slide 14 in the presentation (see chart) the Central Bank of Ireland estimates that Ireland's SMEs "may require credit in the region of €6-€7 billion over the next three years". That's €2-€2.3 billion per annum. So let me see: in the depth of recession, Ireland's rapidly depleting ranks of SMEs needed €4 billion in new lending in one year just to keep going; but over the course of the forthcoming 'recovery' they're going to need... less? Perhaps we will use barter instead. If this is what you get for rescuing the banks ('in order to get credit flowing to the economy') then it doesn't seem like much of a deal, does it? 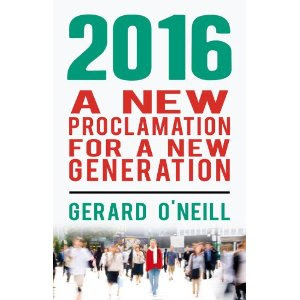 Unless of course the Central Bank has assumed a further sharp fall in the number of SMEs. According to today's Irish Examiner they may well be right. Throw in this week's anticipated start to a series of increases in ECB interest rates (shouldn't we just rename it the Bundesbank to avoid any further confusion?) and quite possibly the CBI estimates may even turn out to be optimistic. Not for the first time. After last week's denouement I'm not banking on recovery any time soon.